In an effort to meet the varied needs of a wide range of potential residential, commercial and professional customers, three levels of building packages have been developed. The system starts with the basic building shell package and from there, the owner has the choice to select either some level of a partially finished or a full turn-key finished structure. 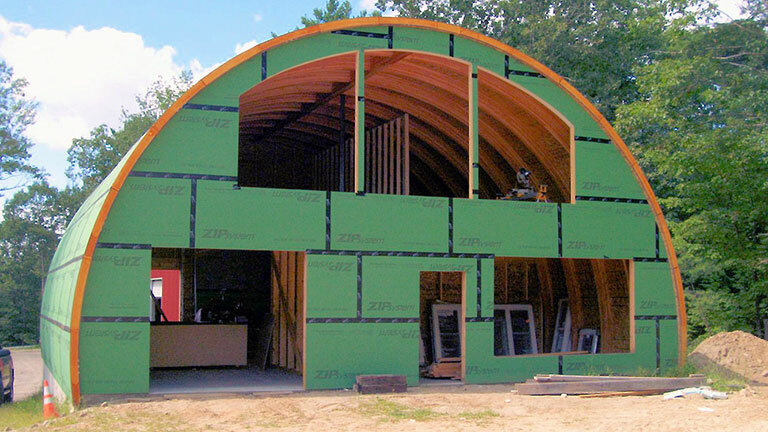 Since the quality and integrity of the building shell system is critical to the overall and long term financial, physical and environmental performance of the structure, the basic building shell package will be constructed only by a professional crew that is trained to assemble the components according to the strict design and engineering standards created to produce an Ultra-High Performance structure. This approach assures the client that the entire free standing and tightly sealed building shell structure has been systematically constructed to perform to true 21st century standards. 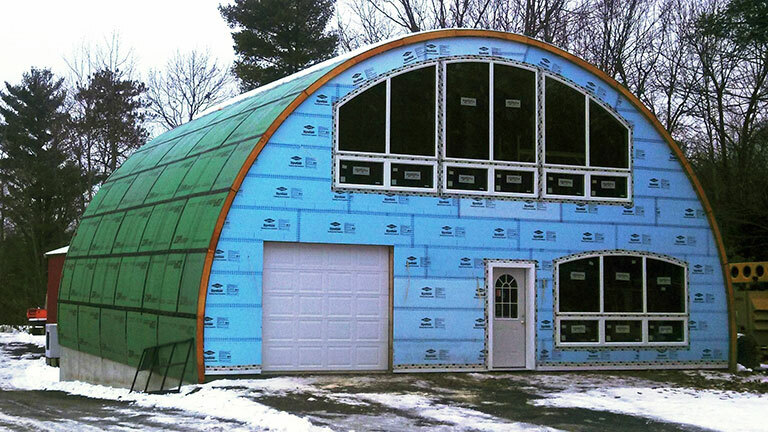 The building shell package includes a fully assembled, insulated and sealed building shell, including gable ends, with doors and windows installed. 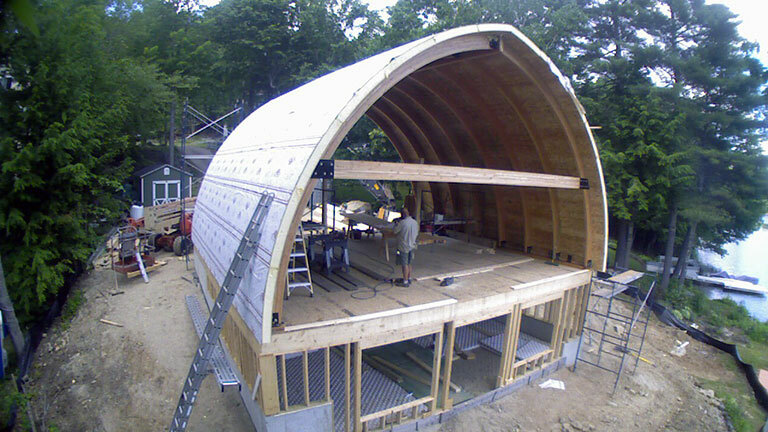 Since the quality and integrity of the building shell system is critical to the overall and long term financial, physical and environmental performance of the structure, it is constructed only by a professional crew that is trained to assemble the components according to the strict design and engineering standards created to produce an Ultra-High Performance structure. Once the post, beam and SIP shell is standing, skylight framing, dormers and gable ends will be constructed providing the openings required to match the customers selected doors, windows. All exterior surfaces will be covered and sealed with the Huber Zip sheathing and tape system. 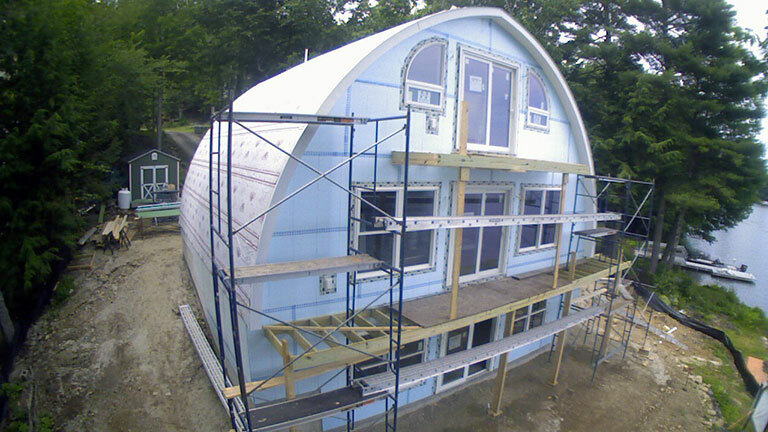 Once the glass and door units are on site, they will be installed and insulation will be injected to entirely seal each of them to the shell structure. The flashing and soffits will be installed in preparation for applying the roofing and siding systems. At this stage, the assembly of the shell package will be complete. This approach assures the client that the entire free standing and tightly sealed building shell structure has been systematically constructed to perform to true 21st century standards. Once the shell package has been completed, any and all additional construction services can be provided at this point, based on each client’s needs. For clients who want to take control of converting the building shell package into a finished building, they have the option to do so with their own contractors or by themselves. Any additional penetrations to the shell system, that are not detailed in the project’s engineering drawings, will have to be approved by the system’s assembly contractor in order to protect the structural integrity and long term performance of the structure. This approach has been strategically implemented to protect the quality of the building and the vested interest of each and every one of our valued customers. The turn key package includes all construction and finishing aspects of the project to provide the client with the benefit of walking into a finished building. From the earthwork through to the final finishing details, every element involved is handled by experienced and conscientious professional trades people. Interior and exterior design services can be provided, along with the skilled craftsmen required, to produce a 21st century caliber home or commercial structure. Group 40 includes building shells that are based on a 40' diameter arch. The Arch Series shells range from 40' to 60' wide while the Gothic Series shells can range from 20' to 36' wide. Both series are free standing, available in single and two floor models in any length based on 4' increments. All packages can be constructed to meet the needs for most residential, professional and commercial clients. As an example, a 40'x40' 13 panel Bungalow shell provides +/- 1,165 square feet of living space and +/- 330 square feet of utility space with a total of +/- 1,495 square feet of useable space. 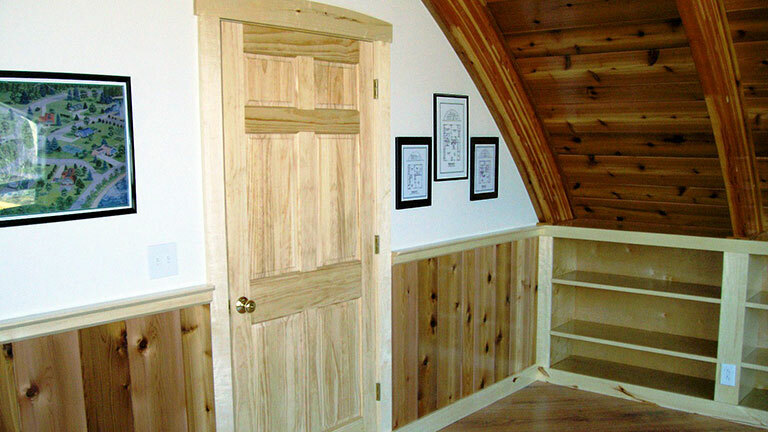 This basic single floor series has a ceiling height of 13' and perfectly fits the needs of young first home buyers, elderly, retirees, handicapped and others who want a simple, rugged, very low energy, low maintenance and environmentally responsible home engineered to handle the more severe snow load and high wind conditions being generated by climate change. 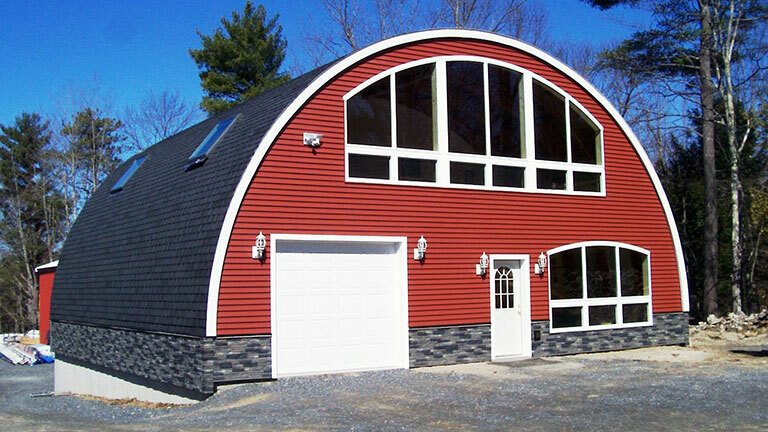 A 40'x40' 15 panel shell with a 20' deep second floor loft provides +/- 1,672 square feet of living and +/- 500 square feet of utility space, for a total of +/- 2,209 square feet of useable area. This additional space comes at a very low additional costs above the 13 panel set up. The center height of the open area is 16.5'. The additional two panels provide the interior height necessary to include an upstairs loft to generate extra floor area. This extra floor area also reduces the overall square foot cost of the structure. 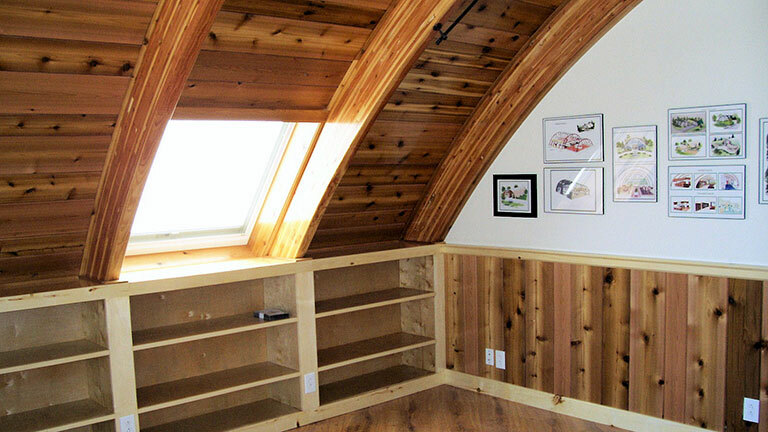 Because the shell is a free standing structure, the loft can be added at the time of construction or economically in the future when actually needed. A 40'x40' 17 panel shell with a full 2nd floor provides 2,567 square feet of living area and +/- 513 square feet of utility area for a total of +/- 3,080 square feet of useable area The center height of the open shell is +/- 23'. A partial or full second floor can be created depending on the owner's needs and design creativity. As with the 15 panel system, upstairs areas can be constructed only when needed in the future to reduce immediate construction cost. 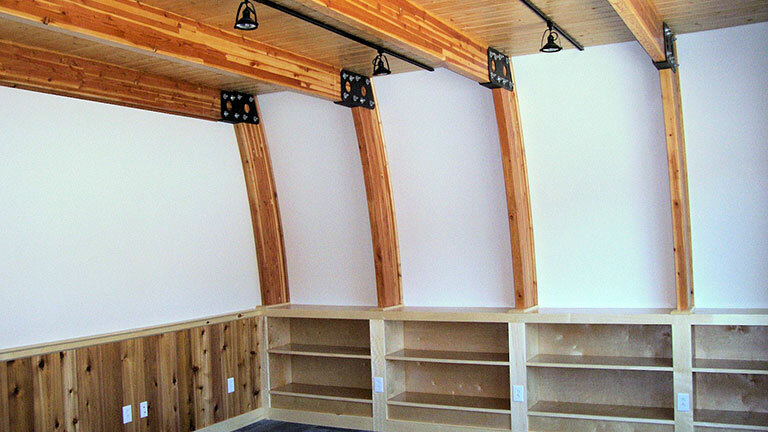 The wide arch series is offered to serve clients who need a structure wider than 40'. Using the same Lego Block style components these shells can provide significantly more interior space for a very wide range of professional and commercial applications. 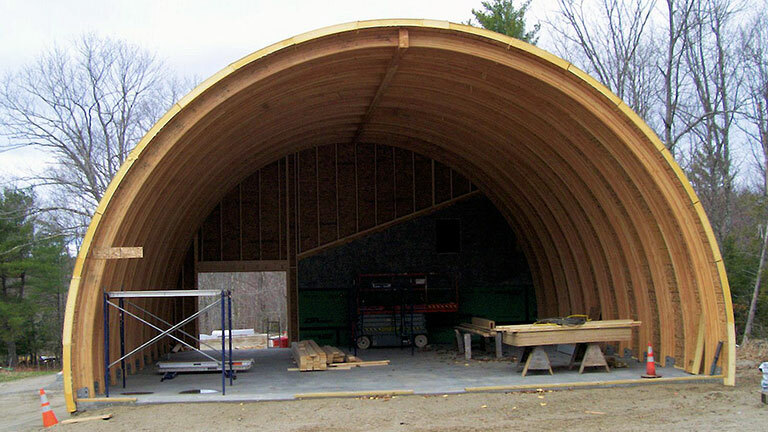 The Gothic Series provides the opportunity to produce narrower buildings while still using the 40’ diameter arches. 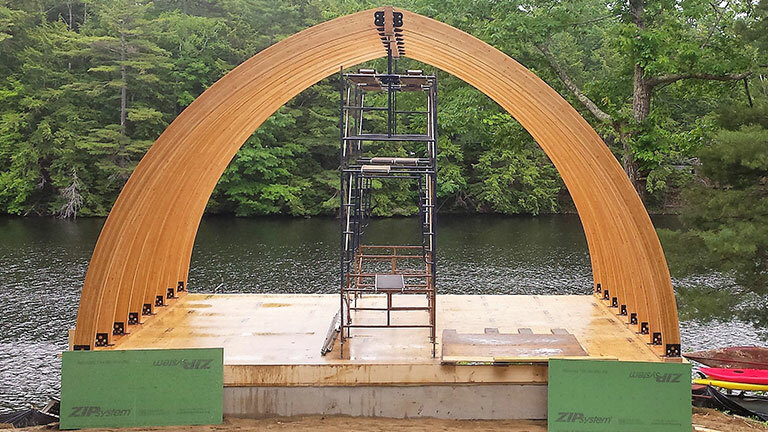 All of the free standing, rugged structural and performance advantages provided in the Arch Series are carried over into this group of 21st century technology building shells. The interior space of this building system is broken down into three categories, living, utility and useable. The dividing line between living and utility space is established at a 6' vertical height between the floor and the inside face of an arch. Towards the center of the building from this point is considered living space. Towards the side wall from this point is considered utility space. The combination of the two is considered useable space. Utility space is where some furniture, storage units, cabinets, closets and other utility uses are located to maximize the uninterrupted living space inside the building. The system is designed to very effectively capitalize on as much interior useable space as possible within a smaller, more efficient and environmentally responsible building shell. A number of pre-fab and modular accessory products are available to speed up the process of finishing the interior of the building, with additional option and accessory packages being developed on a continuous basis. 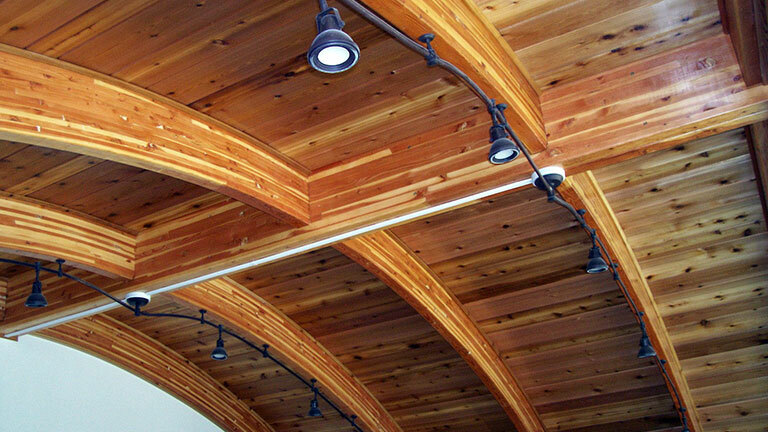 The shell system provides the opportunity to leave the laminated timbers exposed for customers who prefer the look of exposed beams or to install framing for sheathing with sheetrock or paneling for those who prefer the look of painted, wall papered or paneled walls. In addition, interior designers are available to assist in creating the interior layout, decor and ambiance desired by the owner. 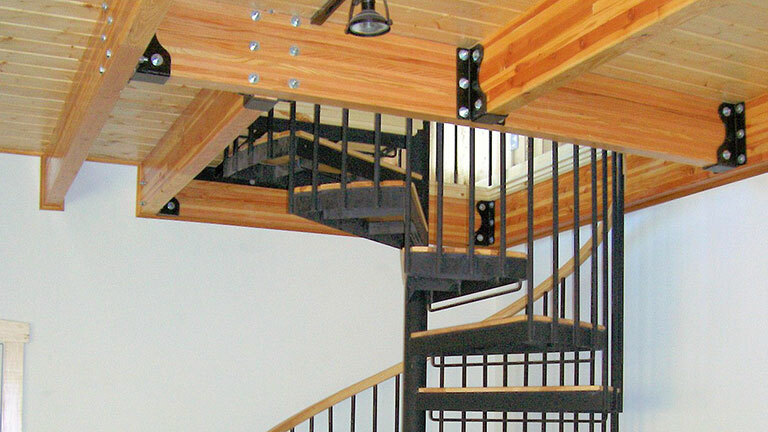 The flexible and free standing nature of this building system provides the opportunity to economically add a loft or second floor in the future, if and when needed for a growing family of business. The system also provides for much easier, faster and less expensive floor plan changes or remodeling opportunities in the future. © 2019 Archtype Structures, Inc. All Rights Reserved. Design and Hosting by PHD Consulting. A Maine Web Design Company.